On May 3, 2016, US Navy Petty Officer 1st Class Charles Keating IV was fatally wounded in Tal Askuf, Iraq, during a firefight with the Islamic State. Keating was a SEAL assigned to a quick-reaction force (QRF) sent in to rescue eleven Americans who were advising the Kurdish Peshmerga. It appears that the OPSEC or operations security for this mission was horrible. Because President Obama is so risk averse, American advisers in Iraq are not permitted to engage in combat. This means that whenever Americans go near the front lines, other Americans must be prepared to rescue them. The Pentagon is very clear about the duties of our QRFs in Iraq. US Army Colonel Steve Warren: They are there for the Americans. So we’ll task and organize a quick reaction forces based on mission, right? When you plan a mission—so in this case, mission: Send a team to Tal Asquf to conduct advice, provide advice and assistance to the Peshmerga fighters. That is your mission. Then you organize your [QRF] mission after that. This was the first time that a QRF had been used in months. The eleven American advisers visited the Peshmerga in Tal Asquf, which is two miles (3.5 kilometers) behind the front lines. 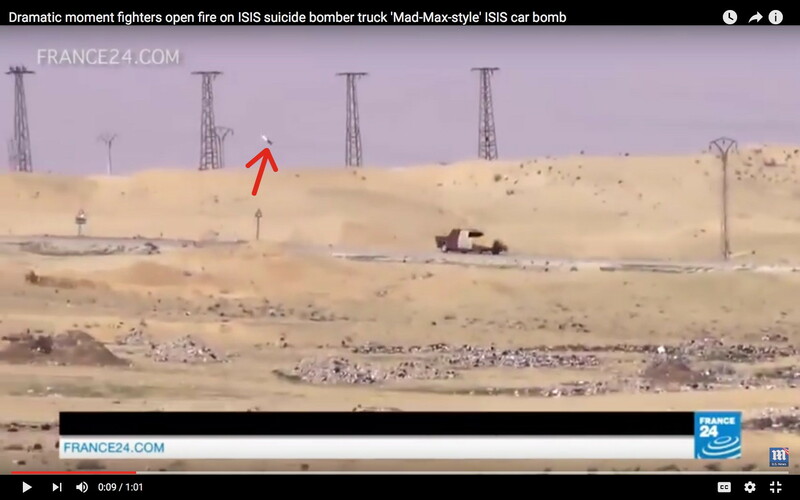 Right after they got there, the Islamic State attacked with 125 terrorists, over twenty gun trucks, at least three truck bombs, and several bulldozers. A twelve-hour firefight ensued. How was a unit that size able to get close enough to ambush the Americans? I think the answer is here. The SEAL says “No video!” but the Kurd keeps on filming anyway. Nobody makes him stop. 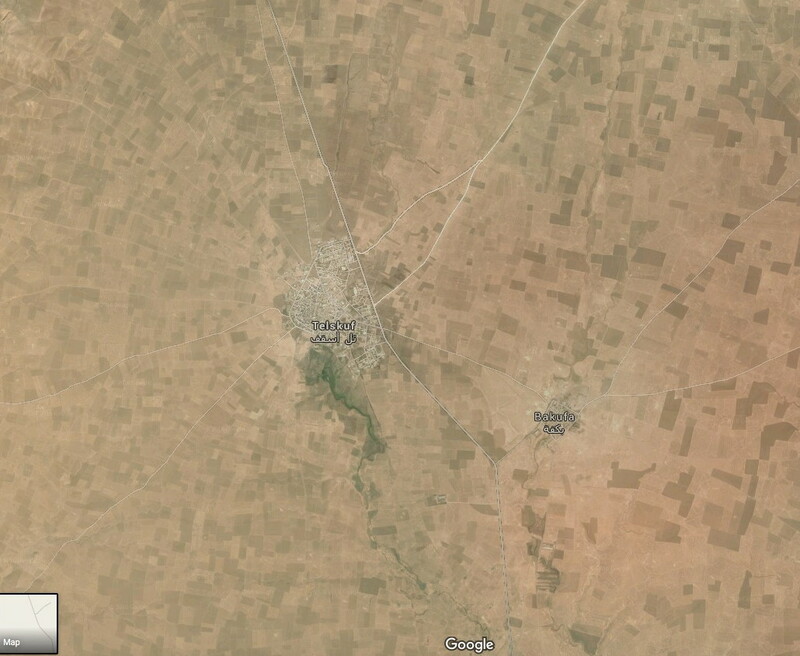 There are Kurds fighting for the Islamic State. 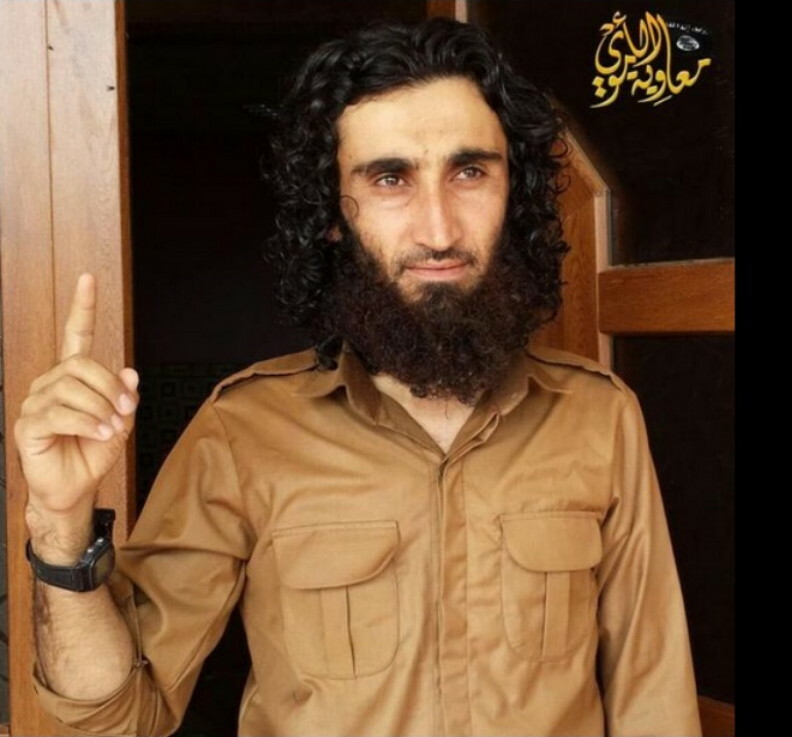 A prominent Islamic State commander was Abu Khatab al-Kurdi. I find it impossible to believe that an Islamic State unit the size of a mechanized infantry company was able to reach Tal Asquf unnoticed. There’s no cover anywhere. The Islamic State assault force was moved into place before the Americans arrived. That means that the terrorists were tipped off. Here’s what the Pentagon said about the advising mission that was ambushed. Pentagon Press Secretary Peter Cook: This particular attack was not anticipated and we were forced to respond, and the Peshmerga forces, they were forced to respond—as you know, they were able to ultimately retake that territory. But they did not anticipate this particular strike, the kind of force that was brought to bear in this particular instance, and as a result we saw the firefight that played out in the deployment of that Quick Reaction Force. When you let yourself be filmed by Kurds blathering away on radios and cell phones, that’s not good OPSEC. Our SEALs clearly don’t speak Kurdish, and in the video above, they were confused about who was who. It was a disaster. I’m now positive that the Arab League has given Combined Joint Task Force Operation Inherent Resolve only a general outline of the plan to defeat Assad, Hezbollah, Iran, Iranian proxies, al-Qaeda, the Islamic State, and the other Islamist groups fighting in Syria. The Arab League has also kept the details of its operations from the Kurds and Turkey. Only Israel is in the loop. During the 2009 Saudi intervention in Yemen, the Yemenis deliberately gave Saudi Arabia the wrong coordinates for air strikes. Dictator Ali Abdullah Saleh misled the Saudis into bombing Saleh’s political opponents. It’s likely that Saleh also identified hospitals as Houthi targets. 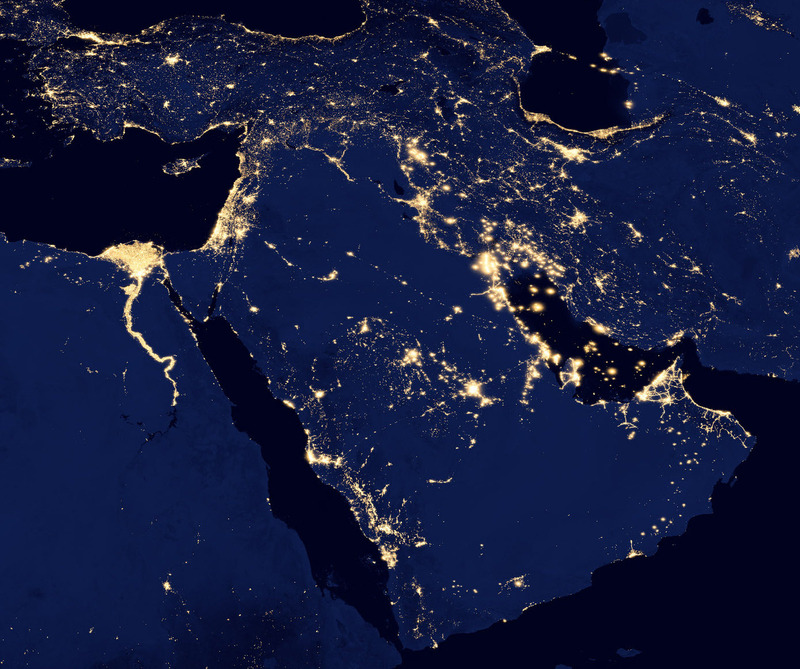 The Middle East is a cauldron of intrigue and shifting loyalties. People routinely betray even those who help them. I’ve experienced that firsthand. The Saudis learned from their mistakes of 2009. They developed their own reconnaissance capabilities, and they keep an airtight lid on their activities. I think the Arab League strategic special operators in Yemen, Syria, and Iraq have adopted the insurgent model of dividing their forces into cells that don’t communicate directly. Very highly trained, skilled, and motivated soldiers can be trusted with such independence. But it’s not only the enemy who you must deceive. OPSEC in the Middle East requires that you never tell your allies your actual plans. The Sultan Murad Brigades is one of the Vetted Syrian Opposition (VSO) groups. 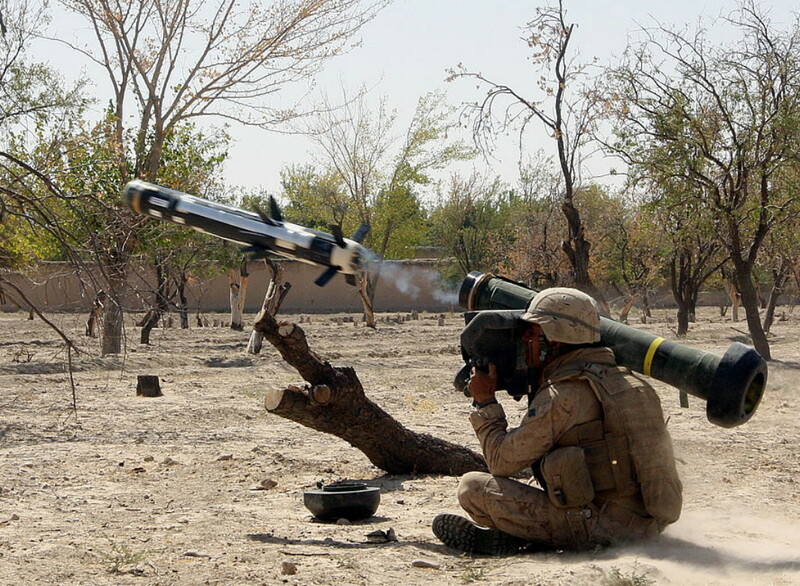 They’ve been provided with American BGM-71 TOW antitank guided missiles (ATGMs). However, the video below is not real. You’ll see two dead Islamic State terrorists whose corpses have been perfunctorily censored, but the imagery is still gruesome. 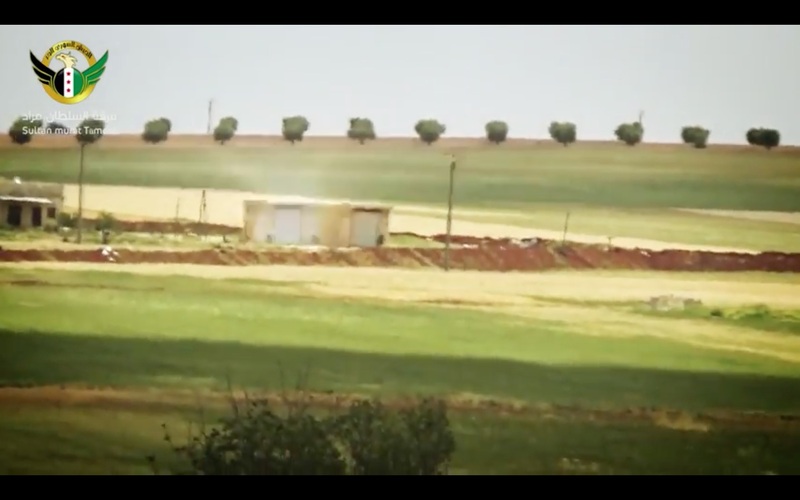 Here’s the ATGM about to hit the building. That light is the beacon on the tail of the missile that the operator uses to guide the munition. A cross hair inside the sight of the launcher must be kept on the target. The missile will hone in on that cross hair. Then the warhead ejects a cloud of vapor. 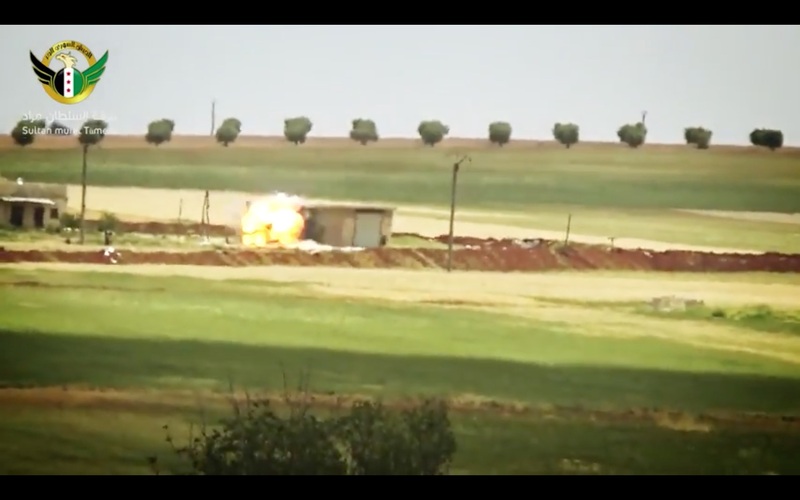 This proves that the ATGM is a fuel-air explosive (FAE) or thermobaric weapon. 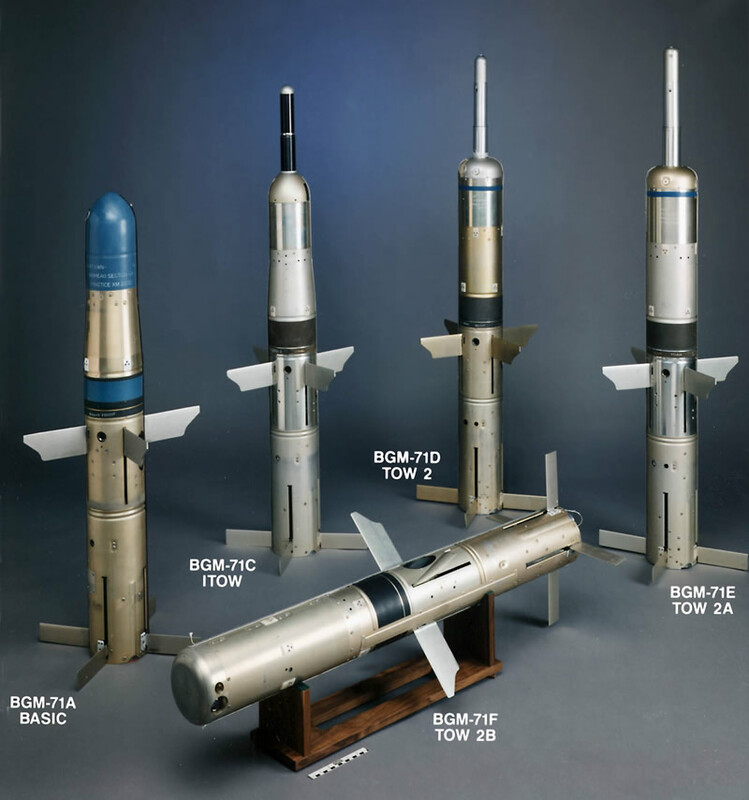 The American TOW missile has no known FAE warhead. It had to have been invented by Israel and is being used by Arab League professional strategic special operators. There’s no chance in the world that this secret weapon would be given to any Syrian rebel group. The technology is decades ahead of what all other armed forces have. Next, the cloud of vapor explodes. One of the roll-up doors is blown in, and part of the cinder-block wall is damaged. 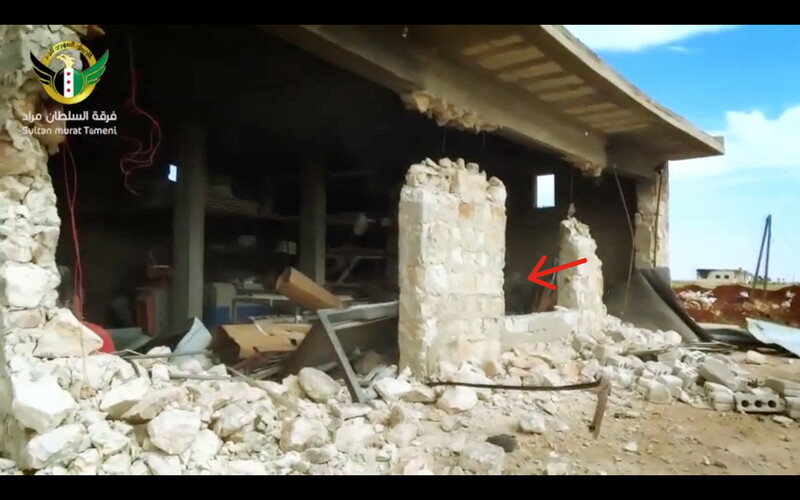 But the structure that the jihadists inspect is different from the one above. 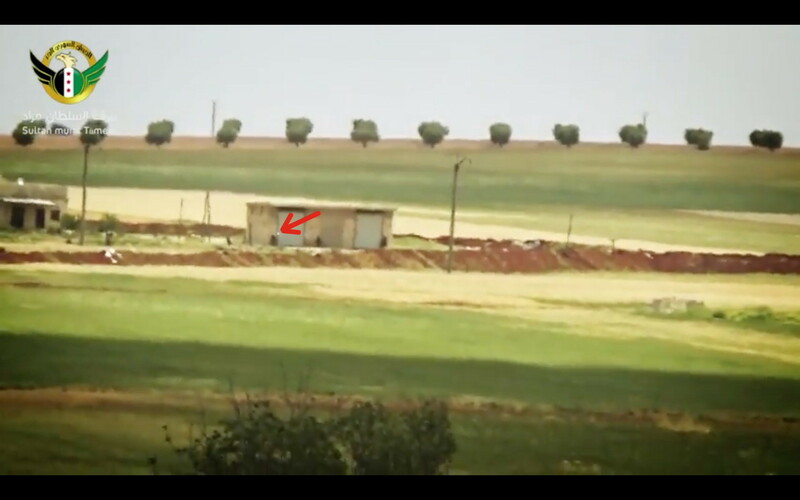 It has a window between the two roll-up doors (red arrow), and there are buildings nearby. 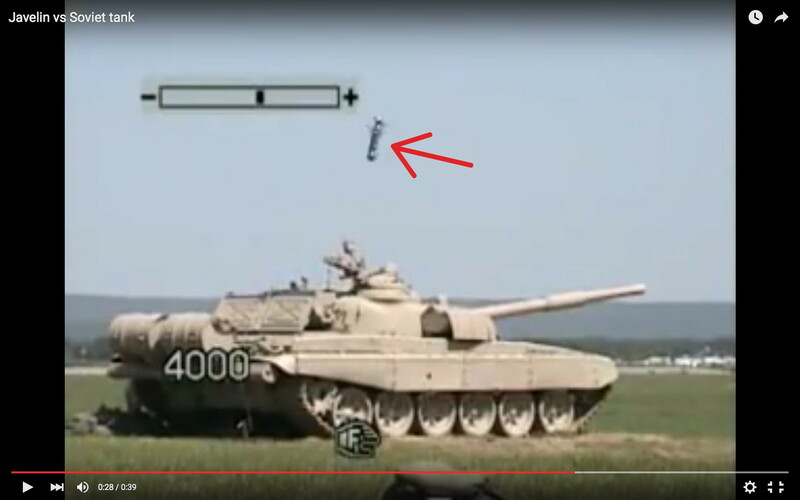 Below, you can see the exit hole made by the shaped charge of the TOW high-explosive antitank (HEAT) warhead. 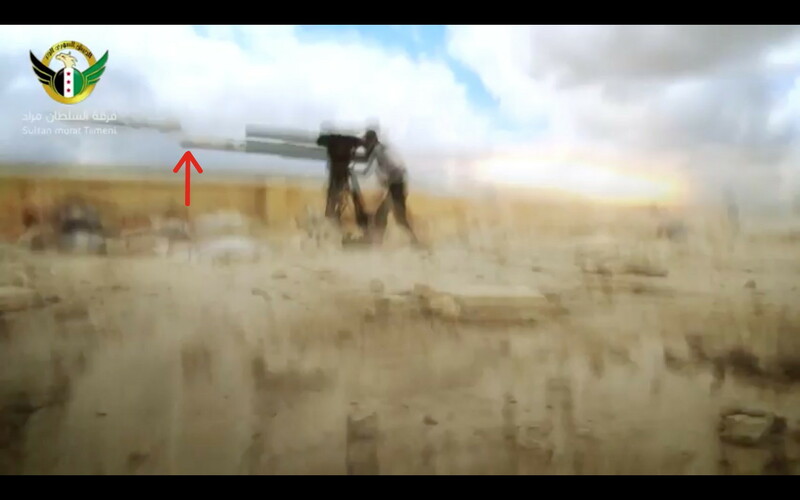 The jihadist on the roof fired a BGM-71A/B TOW, which has a HEAT warhead. Nobody knows what the FAE missiles look like. Israeli and Arab League OPSEC is too good. It’s easy to fool reporters, because they don’t bother to learn anything about munitions. 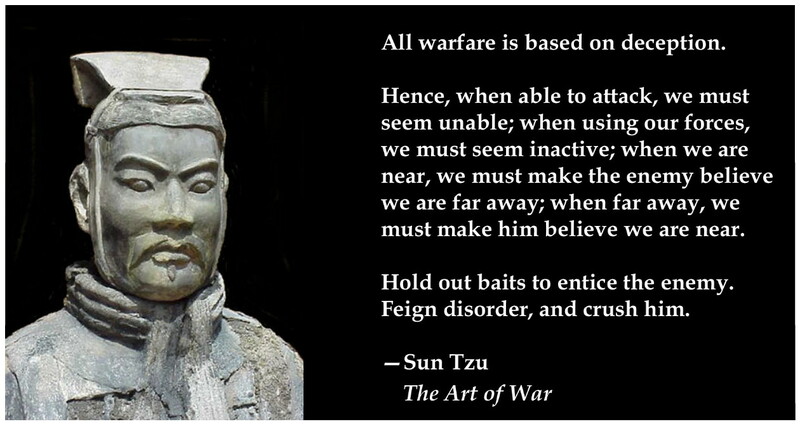 Most reporters are leftists who think that studying warfare makes you a warmonger. They view their ignorance as morality. The video below has multiple deceptions. 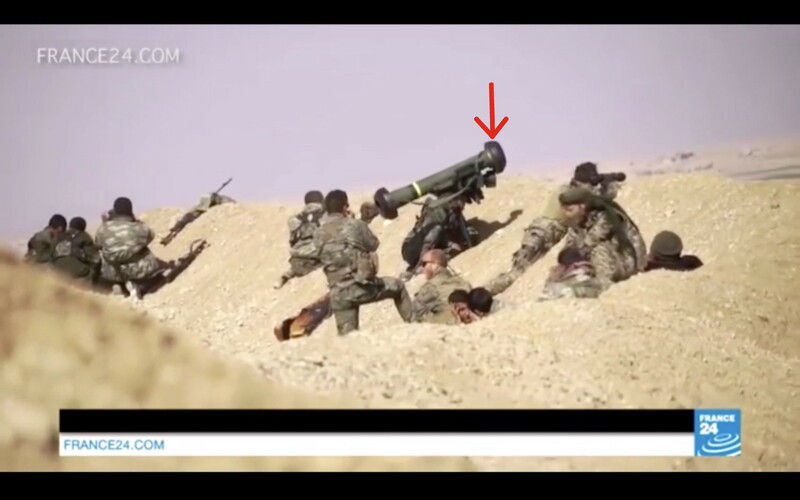 This American FGM-148 Javelin missile was not fired. The end cap of the launcher (red arrow) is still on. To fire the missile, you must first remove the end cap. 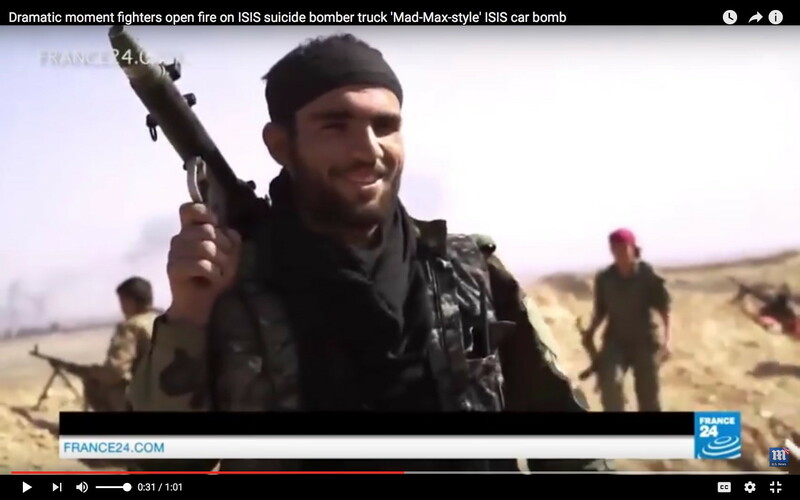 Next, the extremely telegenic young man who took credit for destroying the truck bomb has an RPG-7 loaded with an OG-7 antipersonnel round. In other words, he didn’t fire that weapon, and he wouldn’t have used that munition against an armored vehicle. He’s an actor with a prop. This is not a BGM-148 Javelin. It’s only about half the length of a Javelin. 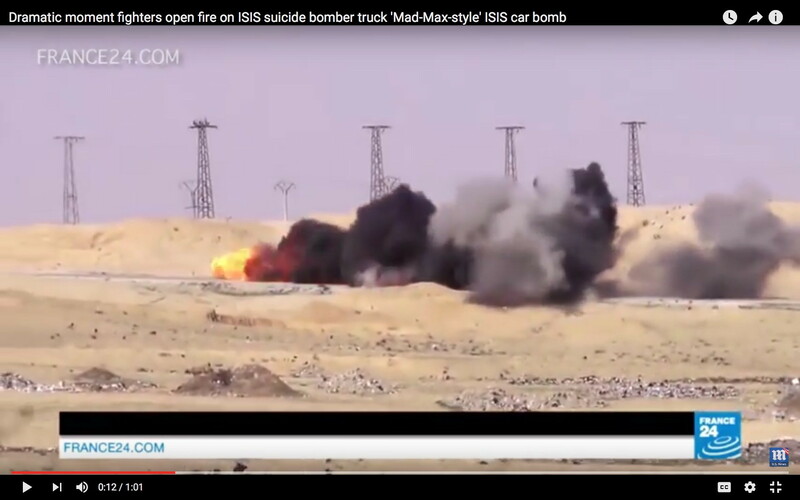 And it incinerated the explosives in the truck instead of detonating them. That little missile is a potent new weapon. There are a few other things in the video that I could mention, but I won’t. Though I can’t tell you what DID happen, I can tell you what DIDN’T. 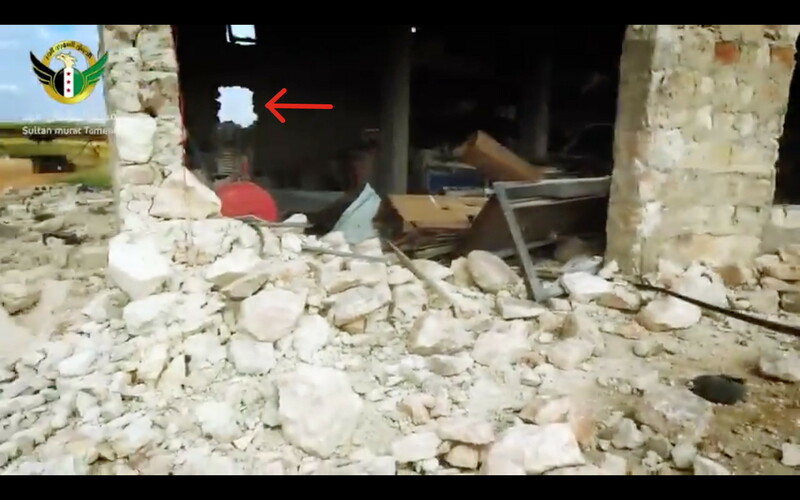 Arab League OPSEC makes it impossible for me to figure out the reality of what we saw in the video. That’s great. The Arab League is going to win. As they fight at least three wars, the Saudis continue to improve. Saudi Arabia’s King Salman on Saturday replaced his veteran oil minister and restructured some big ministries in a major reshuffle apparently intended to support a wide-ranging economic reform programme unveiled last week. King Salman secretly worked on this plan for decades. I predict peace and stability in the Middle East within the next five years. Actually, it’ll probably happen in three years. Be strong, Middle Easterners. 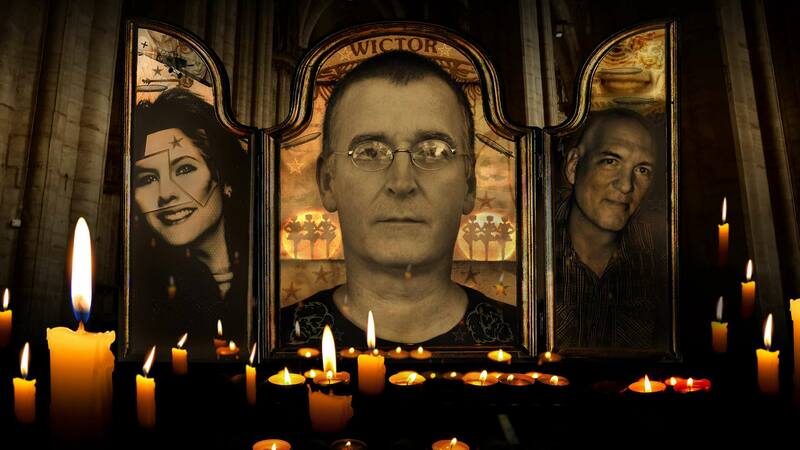 All your prayers will be answered. I promise. This article viewed 1040 times.